More comfort, more performance, more fun! The bike is only as good as its fit to the rider. The saddle, cockpit, and pedals all need to be adjusted to your body according to reach, height, and angle. This all depends on the bike and rider’s style. 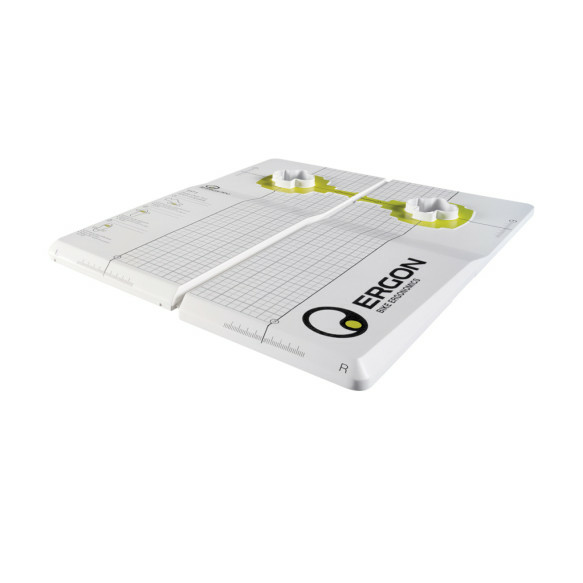 Using the Fitting Box, the ergonomic adjustments can be done easily, fast, and precise – even for beginners. 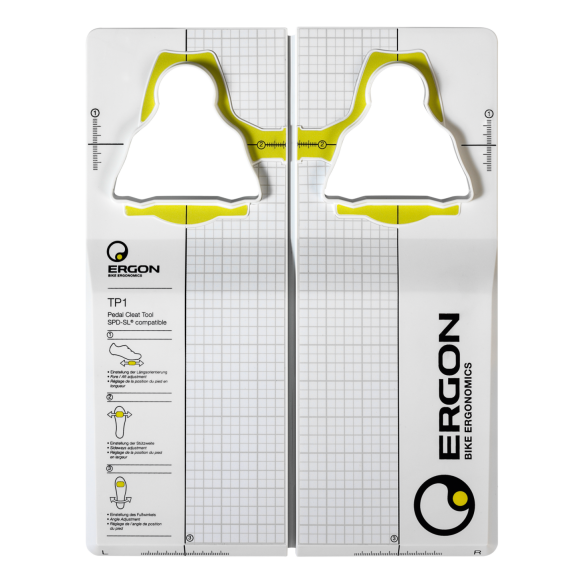 The Ergon “step by step” method has been developed by Dr. Kim Tofaute, one of the leading experts concerning bike ergonomics in Europe. The Fitting Box’s field of application covers a large spectrum of different bike styles. The box has been designed for beginners who want to increase comfort and reduce discomforts brought on by improperly adjusted bike fits. The process is very easy to understand and does not require any previous bike fit knowledge. 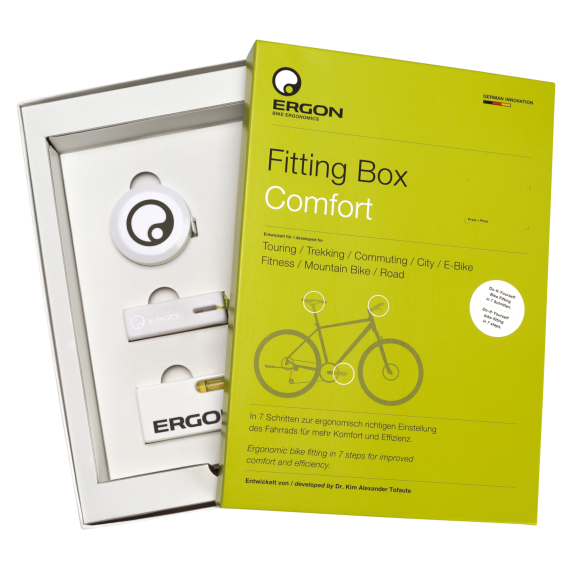 The Fitting Box Comfort is perfect for riders, who like to spent time on their bikes commuting, touring, or leisure riding. More comfort, more performance, more fun! The bike is only as good as its fit to the rider. The saddle, cockpit, and pedals all need to be adjusted to your body according to reach, height, and angle. This all depends on the bike and rider’s style. 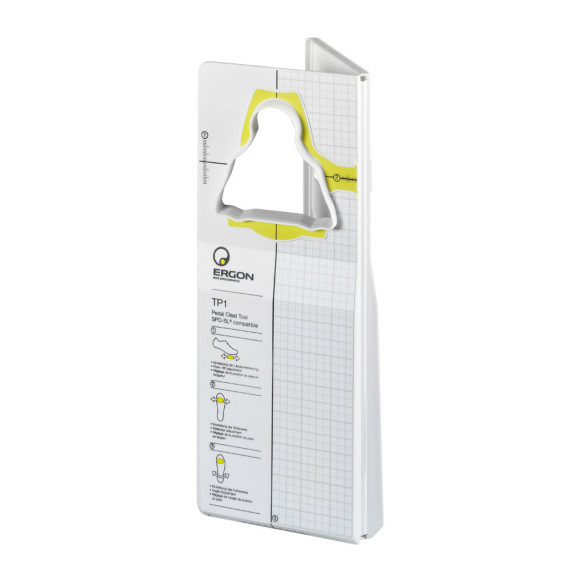 Using the Fitting Box, the ergonomic adjustments can be done easily, fast, and precise – even for beginners. 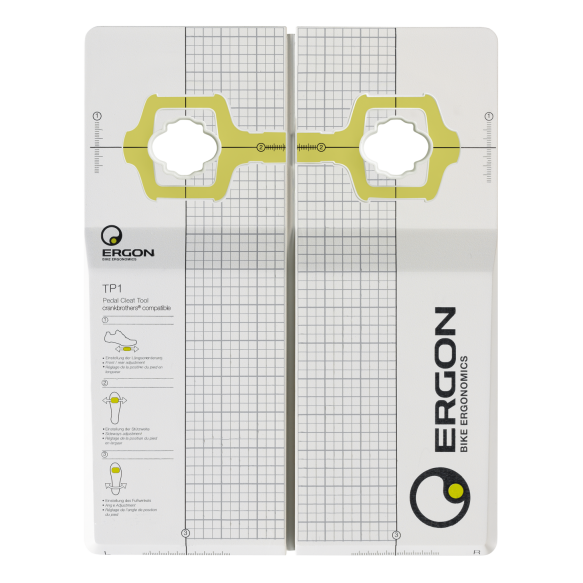 The Ergon “step by step” method has been developed by Dr. Kim Tofaute, one of the leading experts concerning bike ergonomics in Europe. 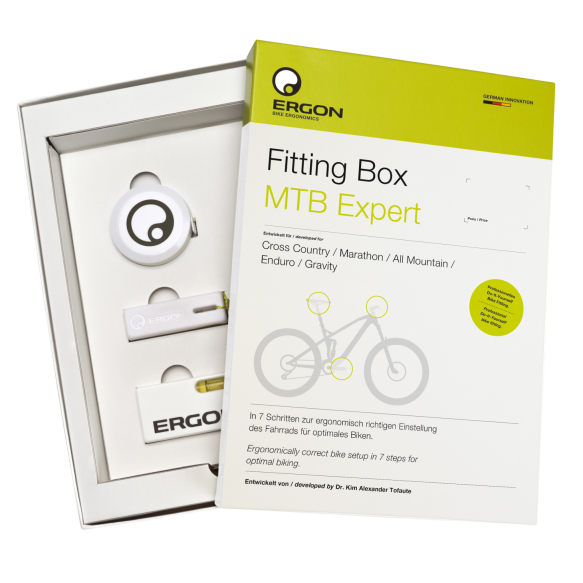 The Fitting Box’s field of application covers a large spectrum of different bike styles. The box has been designed for beginners who want to increase comfort and reduce discomforts brought on by improperly adjusted bike fits. The process is very easy to understand and does not require any previous bike fit knowledge. The Fitting Box Road Expert has been designed for ambitious road and cyclocross riders who want to tap the full ergonomic potential of their bikes while maximizing performance and comfort. More comfort, more performance, more fun! The bike is only as good as its fit to the rider. The saddle, cockpit, and pedals all need to be adjusted to your body according to reach, height, and angle. This all depends on the bike and rider’s style. 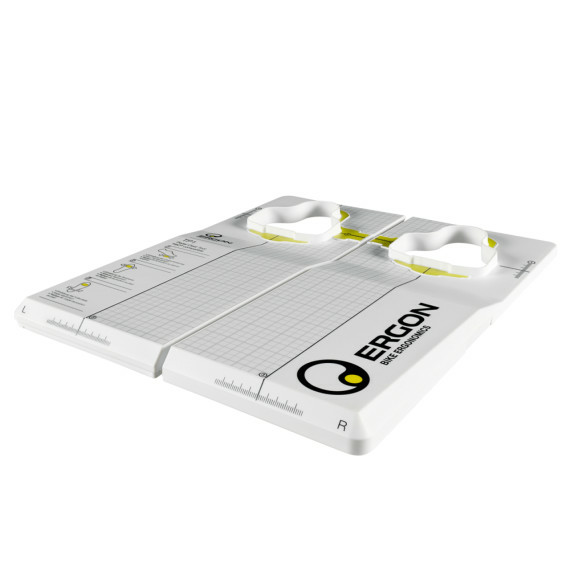 Using the Fitting Box, the ergonomic adjustments can be done easily, fast, and precise – even for beginners. The Ergon “step by step” method has been developed by Dr. Kim Tofaute, one of the leading experts concerning bike ergonomics in Europe. 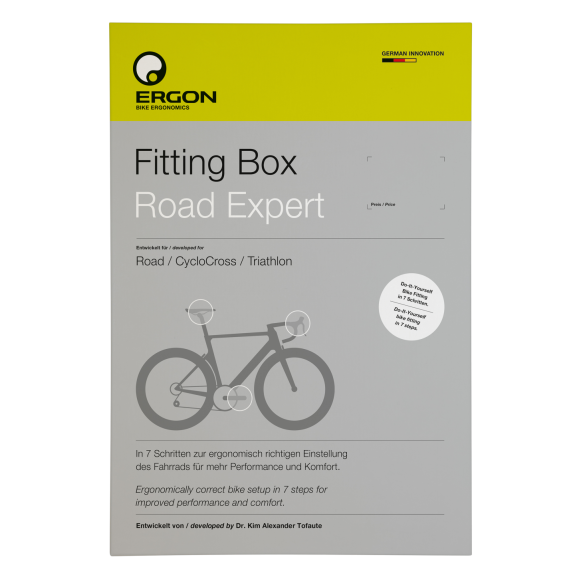 The Fitting Box’s field of application covers a large spectrum of different bike styles. 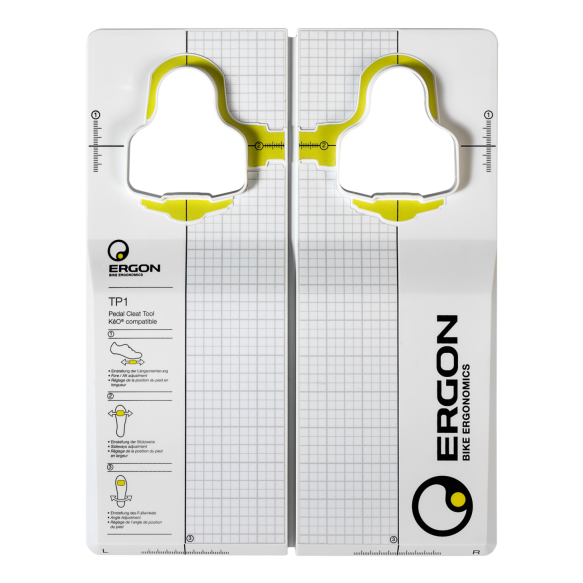 The box has been designed for beginners who want to increase comfort and reduce discomforts brought on by improperly adjusted bike fits. The process is very easy to understand and does not require any previous bike fit knowledge. 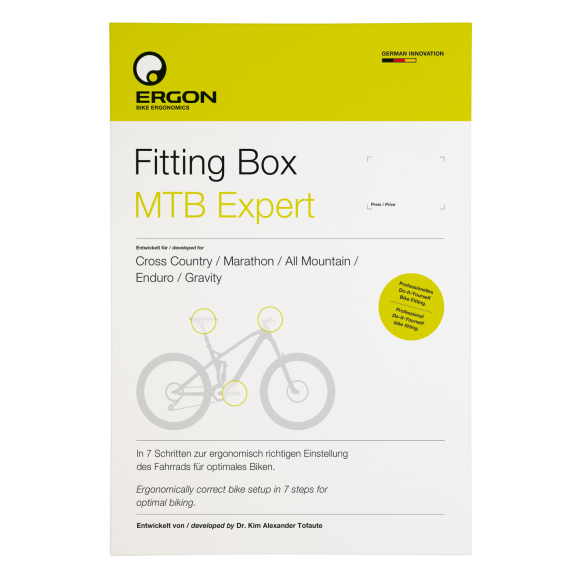 The Fitting Box MTB Expert covers the ergonomic fit features of the different MTB categories. It has been designed for the passionate mountainbike riders and racer who want to tap the full ergonomic potential of their bikes while maximizing performance and comfort. The main contact points; saddle, handlebar, and pedals, must be adjusted to work in harmony with the rider. Depending on the type of bicycle and riding style these contact point adjustments change. With the Fitting Box the bike can be adjusted fast, precise, and ergonomically correct with little or no previous bike fitting knowledge. Correctly installed cleats are noticeable from the first ride with the rider experiencing more power, more comfort, and more efficiency. 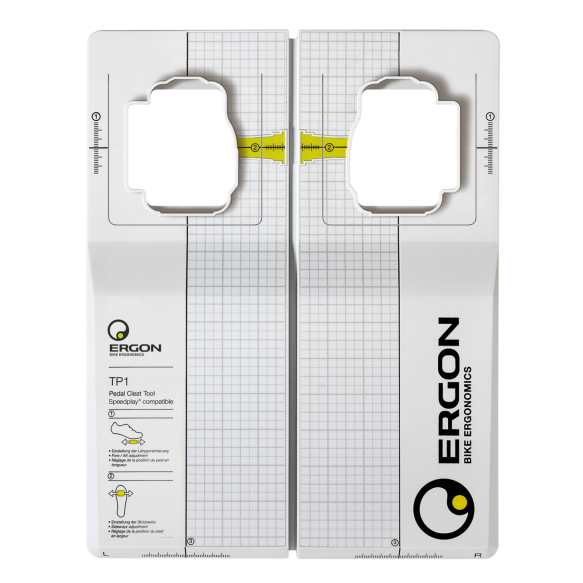 The Ergon TP1 allows for the accurate adjustment of the three axis which are important when installing cleats: fore/aft position, the stance (Q-Factor), and foot angle. While pedaling, leg power is transformed over your feet into propulsion. Therefore the right position of the feet is of the utmost importance, as it determines performance and comfort. The TP1 is the first tool for the precise and easy adjustment of cycling cleats. 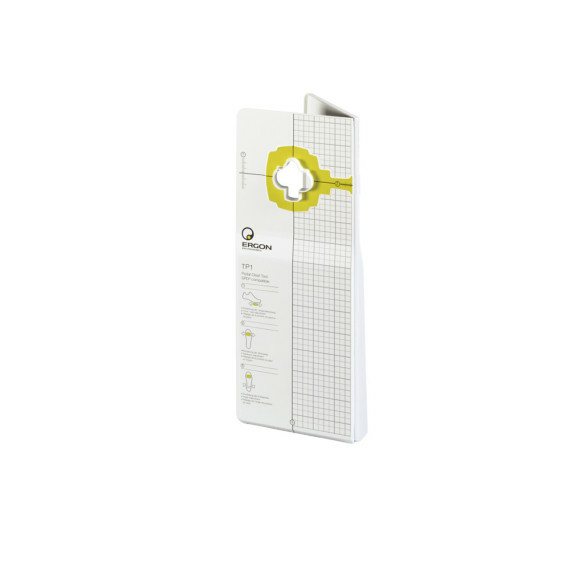 It is used by many professional teams and bike-fitting specialists around the world. 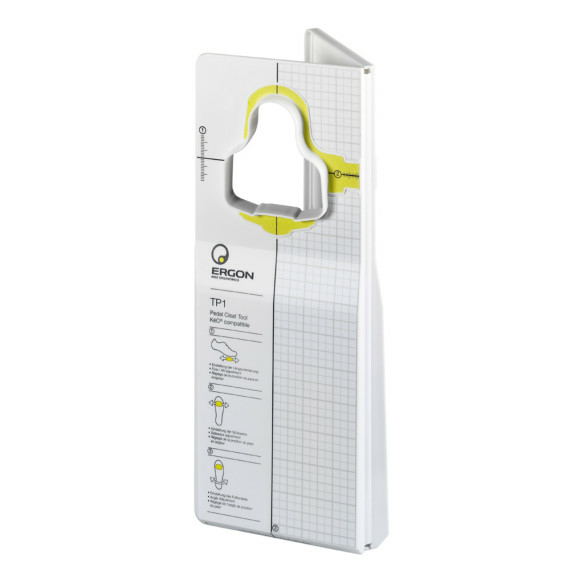 The first tool for precise and easy adjustment of the cleats to cycling shoes. The ergonomically correct position of the feet on the pedals plays a crucial role and is responsible for performance and comfort.